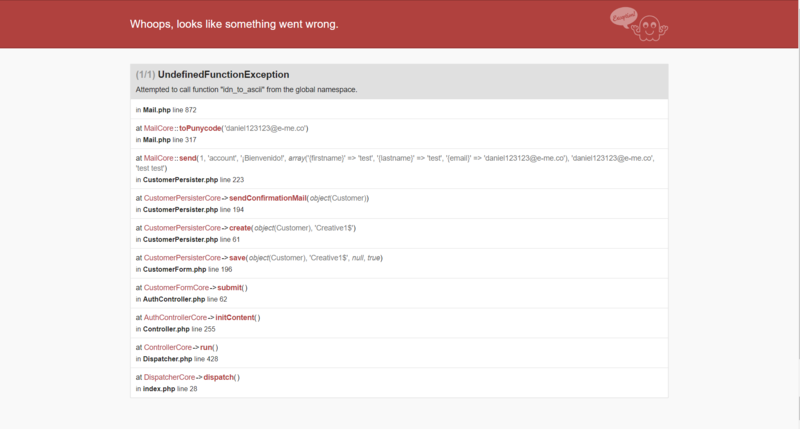 When creating new account or changin the order status we get error 500 on mail.php. We send emails by mailjet SMTP and testing of the email send works fine. This issue is occurred due to php-intl extension. Could you please try to install it, it is required. Thanks to check and feedback. Yes that work. Mark it as solve. I close the issue, feel free to open a new one when needed. I'm sorry but during the prestashop installation, no mention of that. During the "system checking" prestashop should shout it out that the php-intl extention is needed. This check is added in the next release PS1.7.5.1. I installed php-intl extension and I still have the problem, how can I check my configuration? This issue is currently closed, can you open a new one with more information about your configuration.